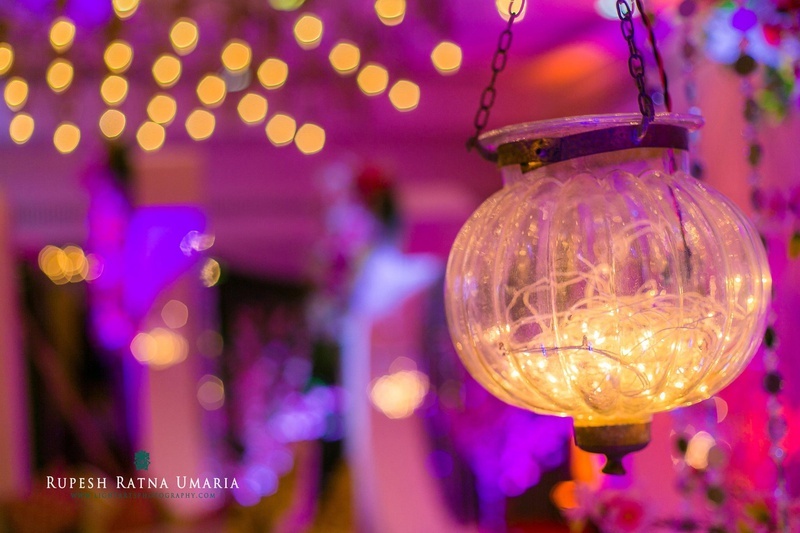 A beautifully lit banquet hall hosted the Nikaah of Sana and Kheizer. 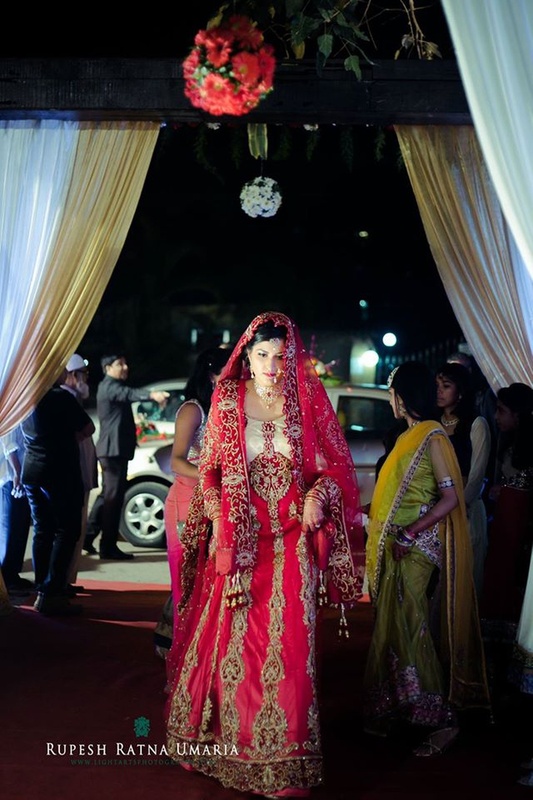 Dressed in a traditional red anarkali lehenga with gorgeous gold patchwork that was embellished with sequins and beads. 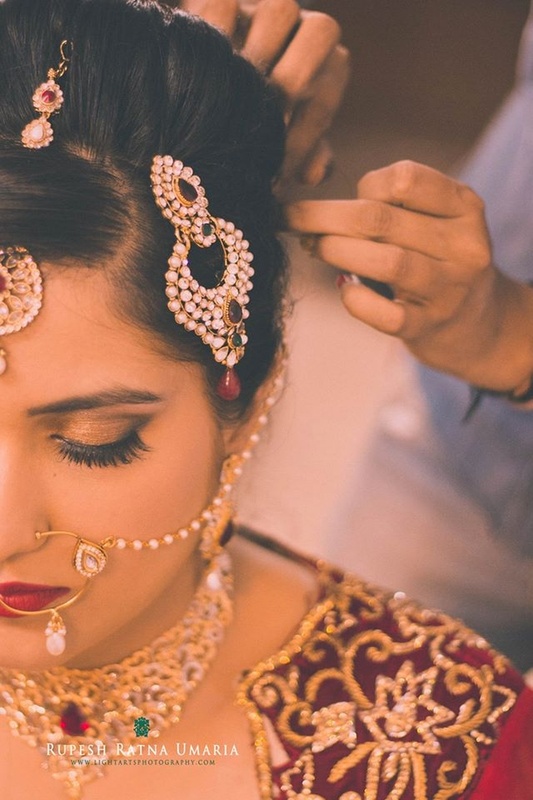 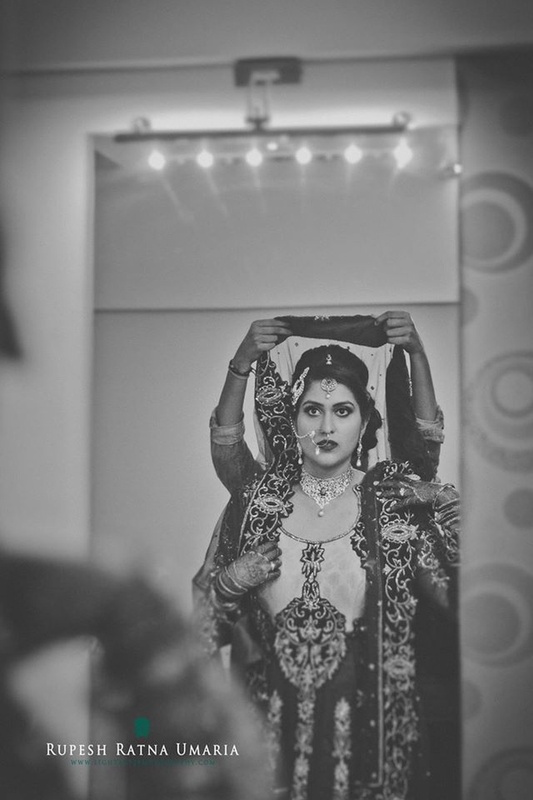 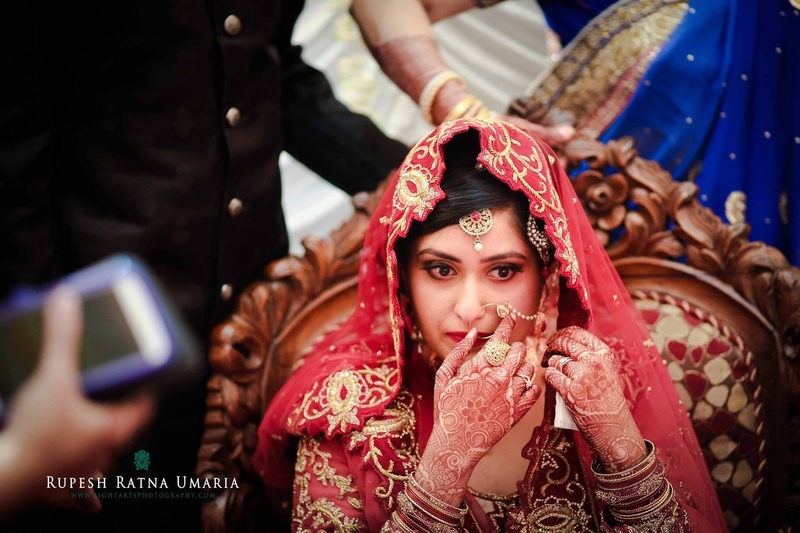 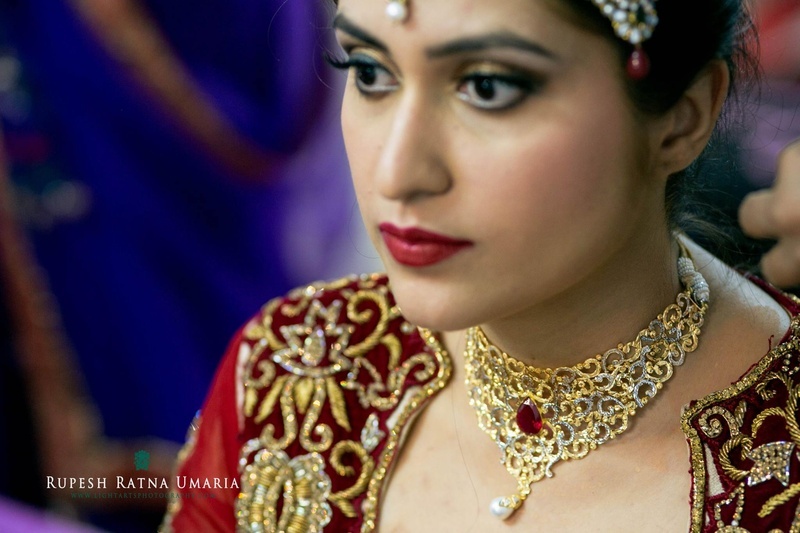 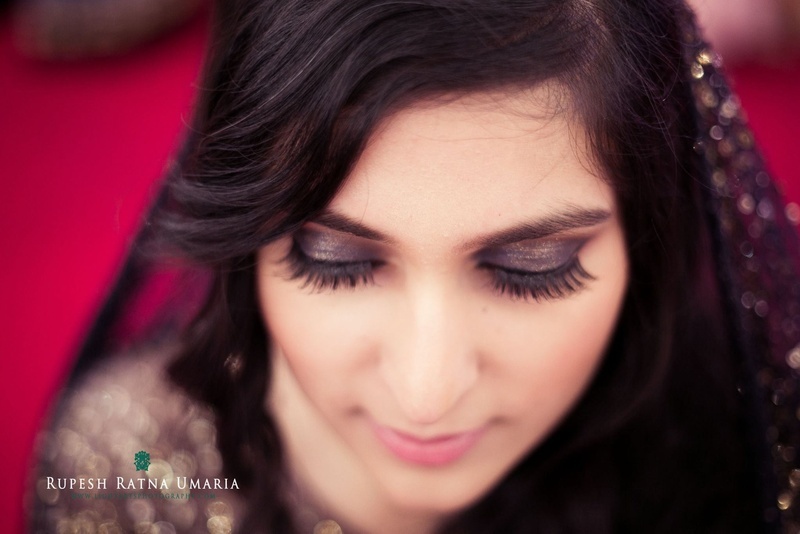 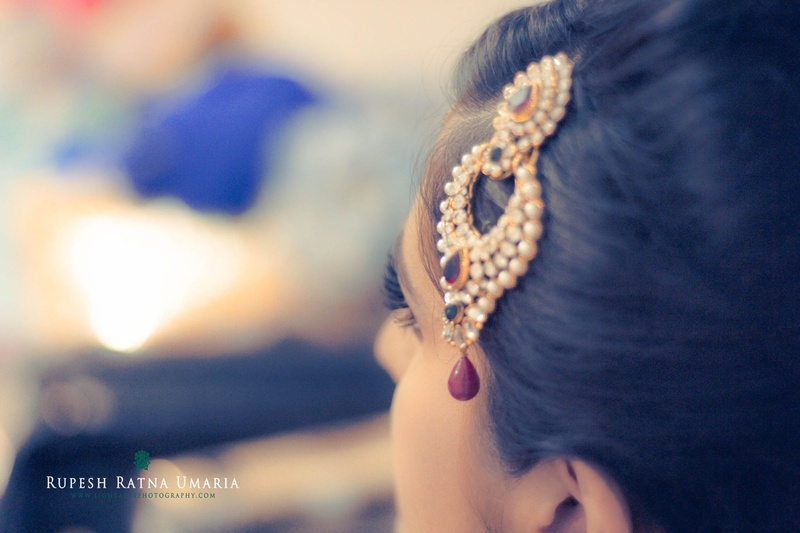 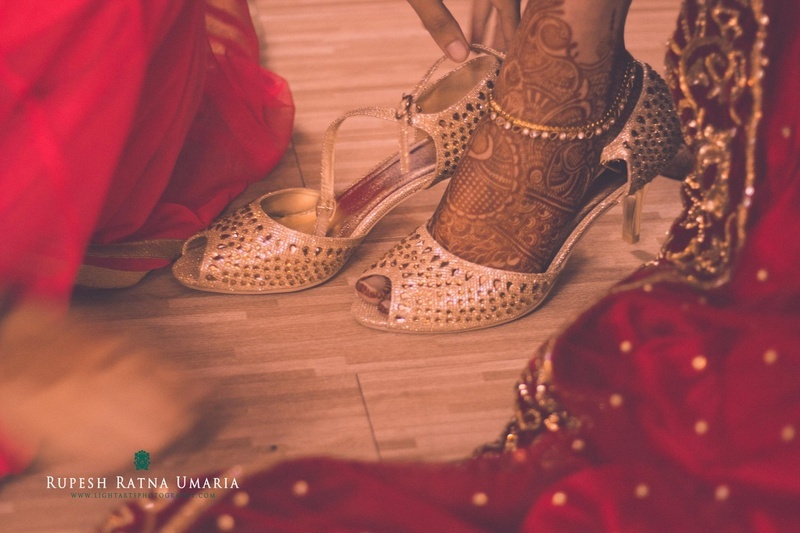 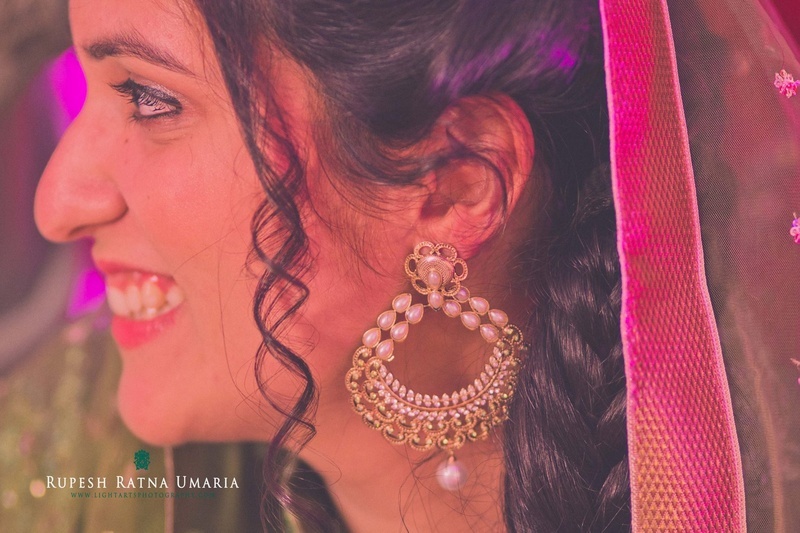 Her bridal ensemble what left us completely mesmerized! 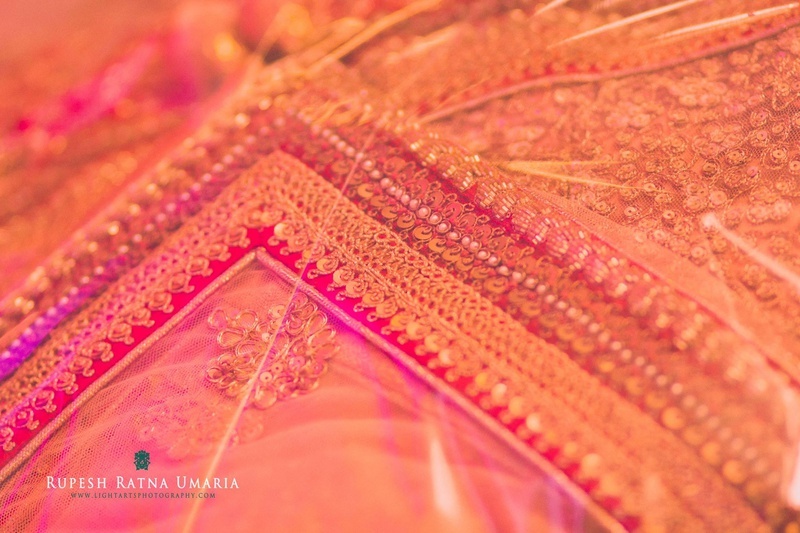 The zardozi on the patterned border so intricately done, the delicate nath, pearl studded jhoomer – every element took her entire bridal ensemble to a whole new level of elegance. 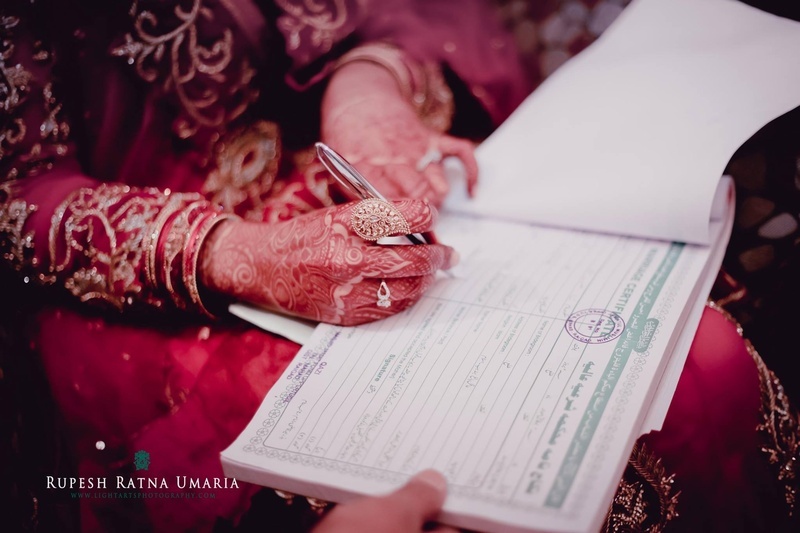 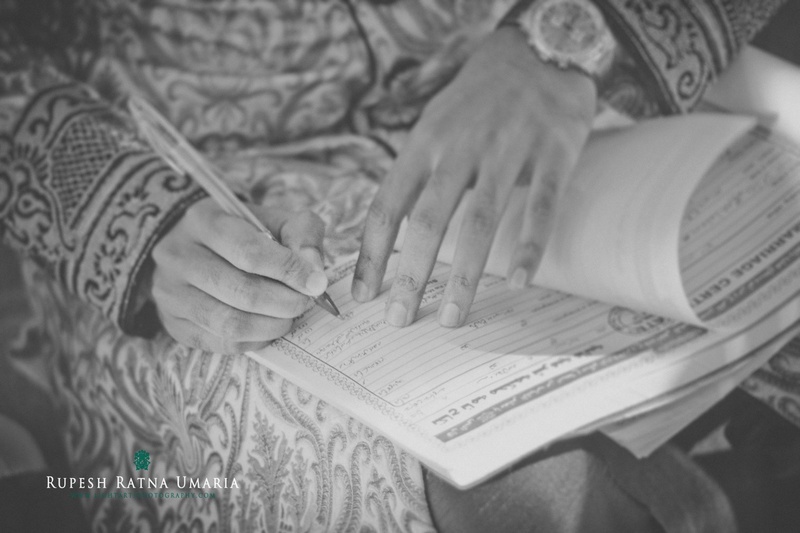 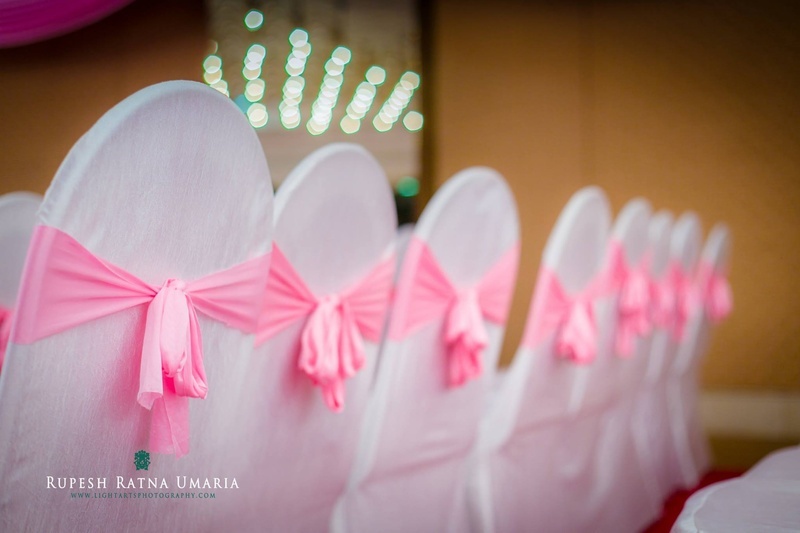 Following this, was the second part of the Walima or the marriage banquet. 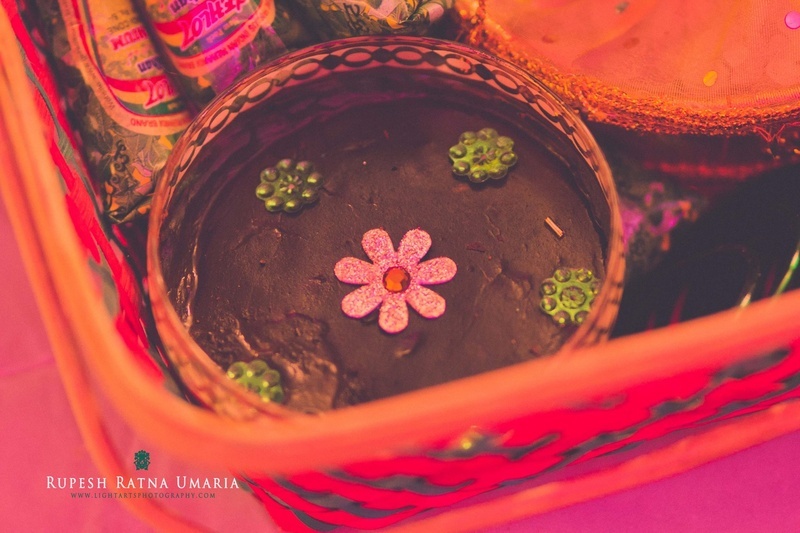 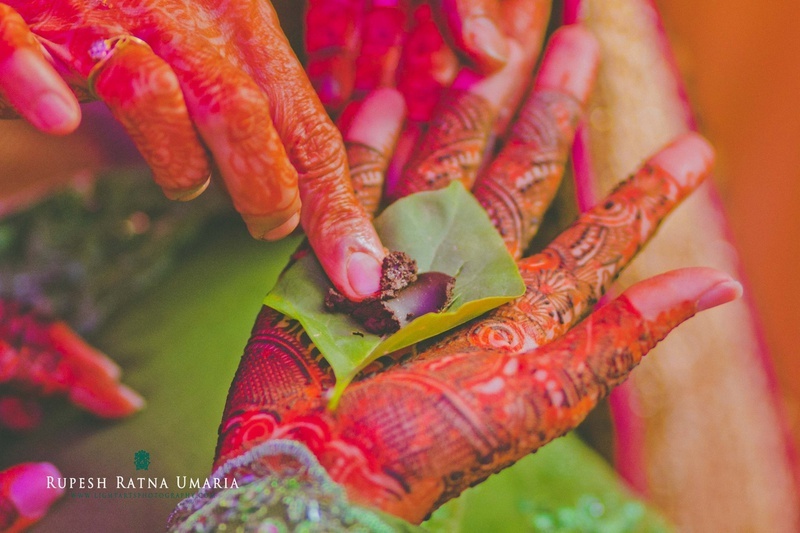 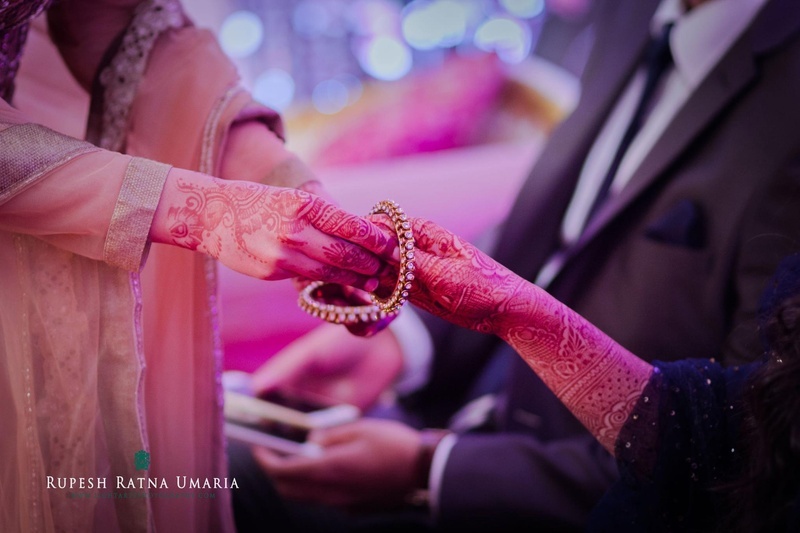 The word designates a feast in Arabic and is used as a symbol to show domestic happiness in the household post-marriage – and happiness and joy is exactly what we saw in this beautiful union. 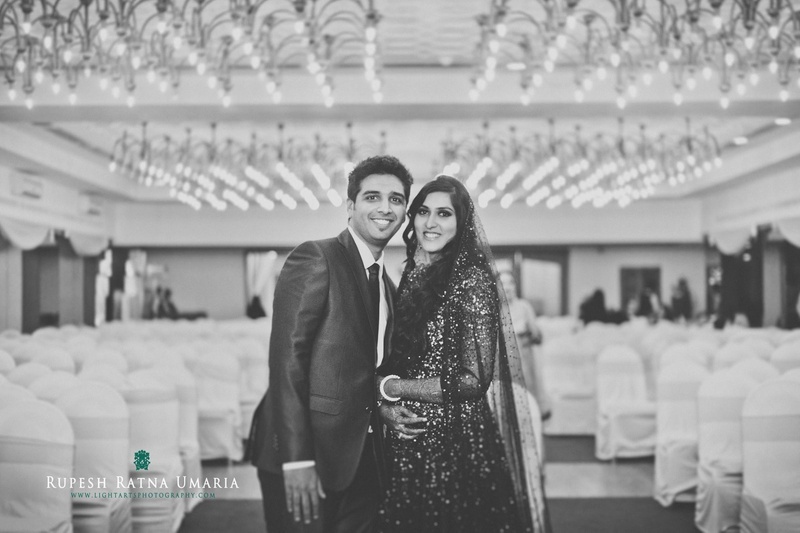 Sana wore a gorgeous glittery outfit with a sheer net veil, while Kheizer wore a sharp suit paired with a crisp white shirt and black tie. 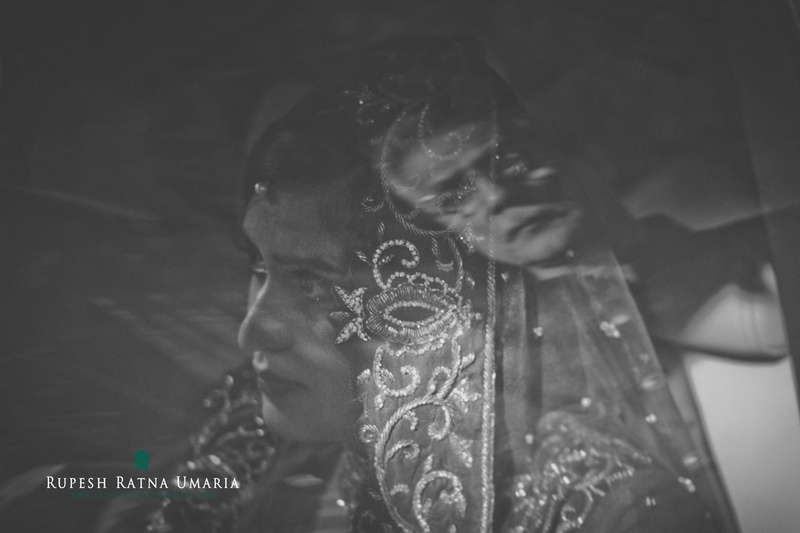 Together, the two of them looked like a match made in heaven. 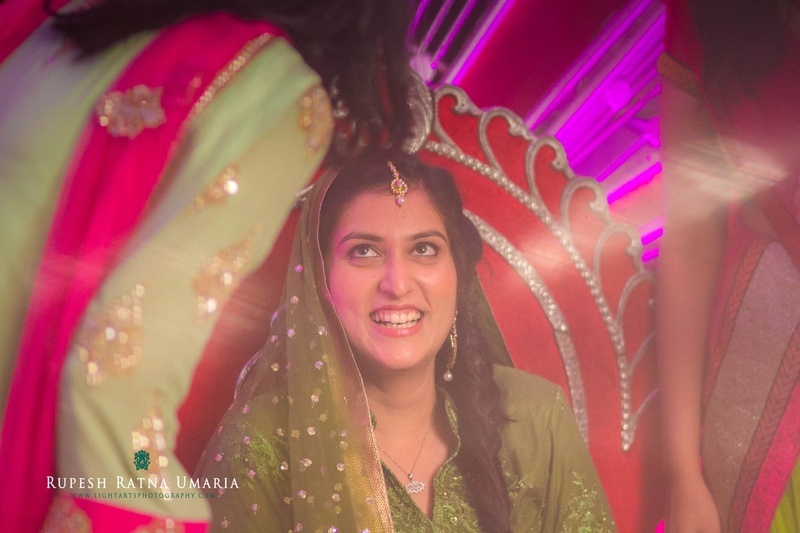 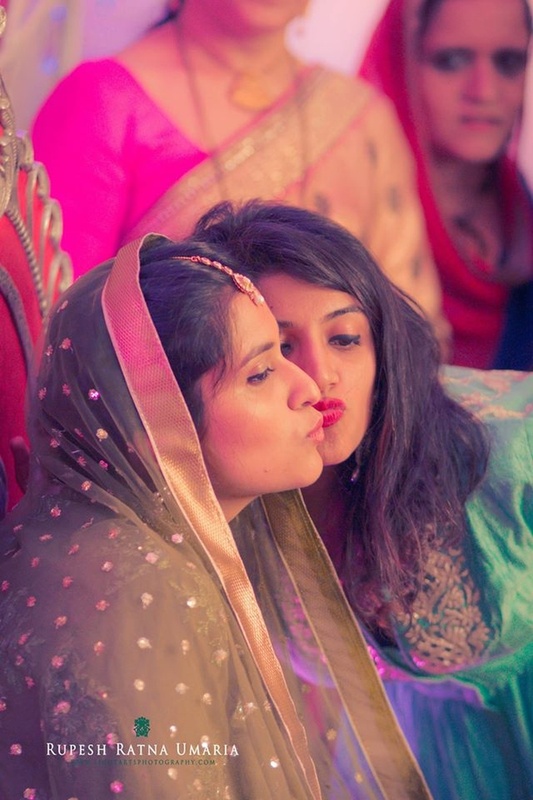 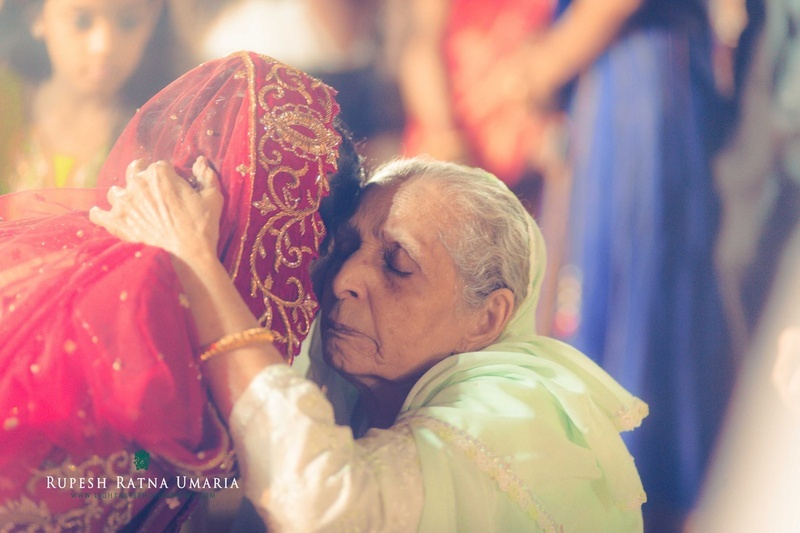 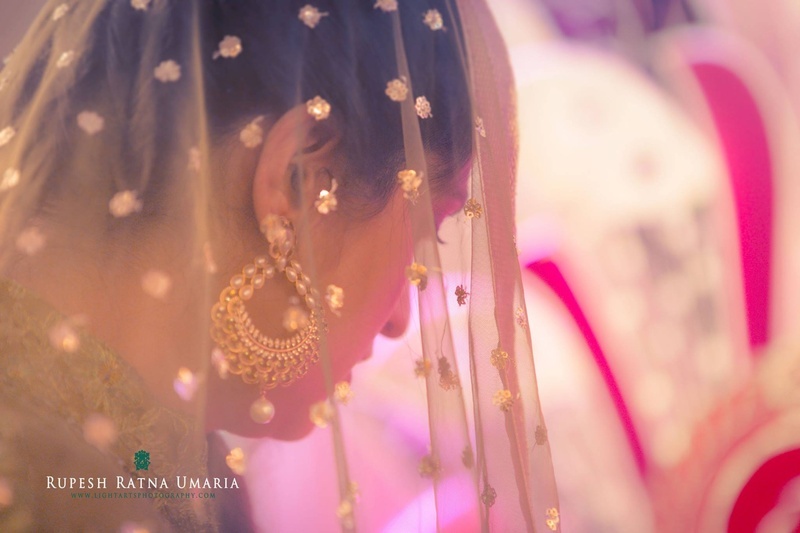 Light Arts Photography did an amazing job in capturing every little moment from this Nikaah and Walima. 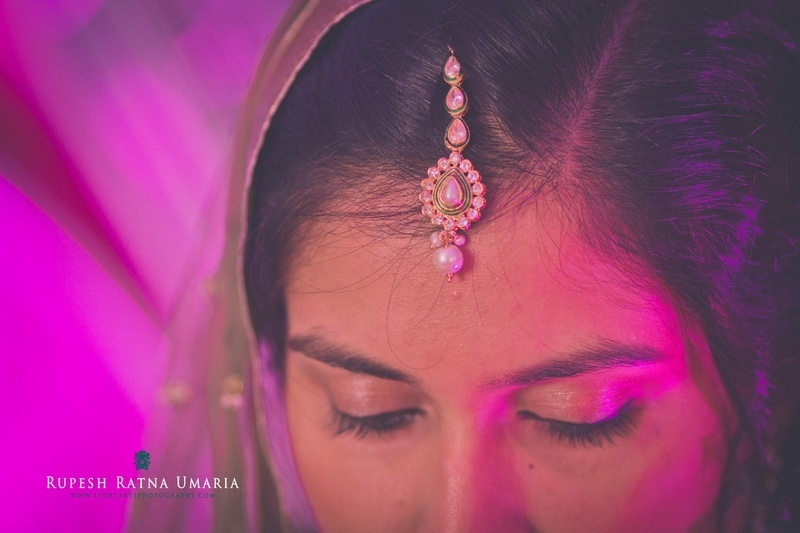 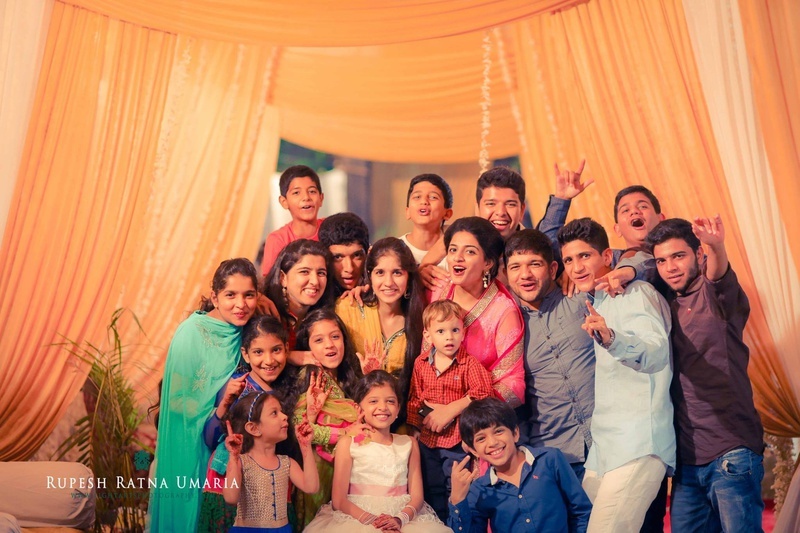 Let’s look at a few images from their special day, right here!